If you have always had your eye on the iconic Jeep Wrangler, but wish it came in a four-door version, then the 2018 Jeep Wrangler Unlimited for you. 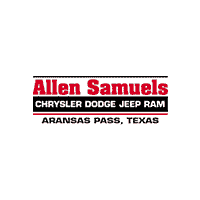 Enjoy the fun of a Wrangler with the comfort and ease of a four-door vehicle at Allen Samuels CDJR Aransas Pass. Explore our inventory then schedule your test drive today near Kingsville! 3.6L Pentastar® V6 engine which delivers 285 hp and 260 lb-ft of torque. If you are ready for an adventure with a new Jeep Wrangler Unlimited, you can get started right now by applying for financing online. Don’t forget to value your trade online as well to save you both time and money at Allen Samuels CDJR Aransas Pass.